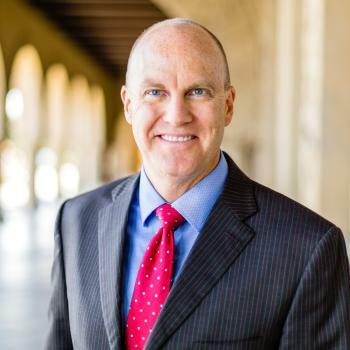 By Sean Mackey, M.D., Ph.D.
Editor’s Note: Sean Mackey, M.D., Ph.D., is Chief of the Division of Pain Medicine at Stanford University. Our country has both challenges with chronic pain as well as opioid misuse, abuse, diversion and overdose deaths. Recognize we use opioids to treat pain, how do we address this conundrum? This was the topic of a Senate Special Committee on Aging on February 24th, 2016. I was honored to testify on behalf of the Institute of Medicine and was asked to represent the work we did on the IOM Reliving Pain in America Committee. This effort was led by Chairman Senator Susan Collins (R-ME), Ranking Member Richard Donnelly (D-IN; sitting in for Senator Claire McCaskill (D-MO) who was just diagnosed with breast cancer), and joined by Senators Warren, Casey, Kaine, and Blumenthal. The full hearing can be found here. I was prepared for this testimony and for the Q&A session to be highly charged and potentially confrontational. After all, the media present on an almost daily basis both young and old dying from opioid related deaths. Just the night before, Frontline presented a powerful contemporary look into the increasing heroin problem our country is facing. It is understandable to want to be angry, to react, to point fingers, and to dramatically restrict the use of opioids – all with the laudable goal of reducing opioid related negative consequences. I went to D.C. with that message in mind. And to be clear to the readers – I am neither “pro-opioid” nor “anti-opioid. I am “pro-patient”. And I receive no money from pharmaceutical industries. My goal was to present our findings from the Institute of Medicine Relieving Pain in America report and the NIH/Health and Human Services National Pain Strategy (NPS). Both can be downloaded for free. All made compelling opening comments and responded superbly to the questions. Each, of course, is looking at the problems through his or her own “lens” and represents a view of the challenges and solutions. It is clear that it will take such a multi-disciplinary approach if we are to solve these problems. From my perspective, I am of the strong belief that release and implementation of the National Pain Strategy will be a critical part of the solution to both problems. 1) Optimizing the patient experience. 3) Not inadvertently motivated other behaviors that would be bad for the patients. In closing, I need to thank Jim Jensen from the IOM and his staff who were wonderful in helping with the meeting. And a special shout out to the Mayday fund and Carol Schadelbauer and Alisa O’Brien from Burness for their wonderful assistance. This is both a challenging and exciting time. It is challenging because of the very real problems with both pain and the opioid epidemic. It is exciting because there are available solutions (e.g. National Pain Strategy) that can provide cultural transformation we need in how this country cares for those in pain – and help address this very real opioid problem. Overall, an incredible experience and one that I am hopeful will make an impact. Janet, I feel your pain and totally agree with you that while attempting to slow or stop addiction. The federal government has only succeeded in, 1,) Arresting good doctors who only wanted to help their patients. 2.) Increasing the income of Drug Dealers and Cartels because people in pain simply NEED relief and if they can’t get it from a licensed professional, people in deliberating pain will try almost anything. 3.) Cause a Nation wide discrimination against people who suffer from chronic pain, and. 4.) Created a perfect way to thin the population. Driving honest and good people to the streets for pain relief has only succeeded in raising the numbers of overdose deaths. This is happening because, patients who were once under the guidance and supervision of licensed medical professionals using FDA approved medications are now taking unknown amounts of heroin and Fentanyl opiates to treat their pain. Then those who cannot find any relief are committing suicide. So we have to ask ourselves this. Are we going to continue to let this government sponsored PURGE continue, or are we going to stand up for our rights to pain relief and make a difference? I have read so many comments and postings where the person writing asks,”can you please help me?” Then fact is, the only help at this point we are going to receive is from ourselves. 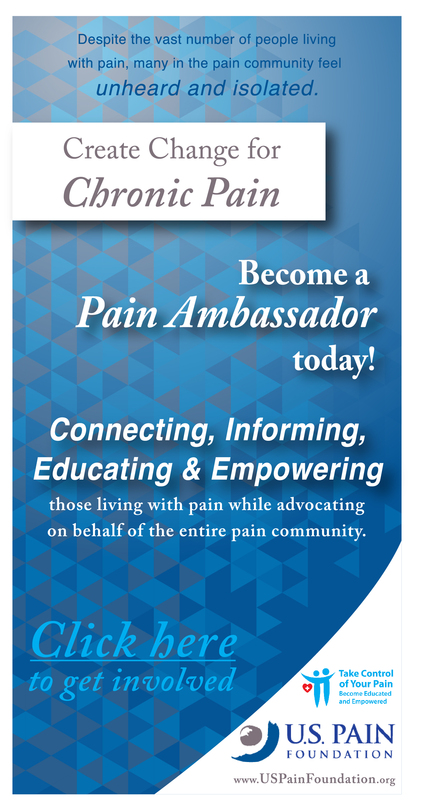 We have to advocate for the entire pain community, and everyone who can needs to join in. Yesterday I spent my entire day with a group of 29 disabled veterans. First, we talked about what has been going on with opiates and other prescription medications and the governments involvement. Next, we spent the rest of the day writing emails and letters to the senators responsible for the new opioid Tax. These guys knew nothing about pain groups on Facebook and other social media, the National Pain Report and the US Pain Foundation, or any of the other advocates for chronic pain because they couldn’t use computers and if anyone of them had a cell phone, it was an antique. So I showed them what I could and I had fun doing it. My point is, we can’t just sit around waiting for lighting to strike and public opinion to magically change. We must inform and help those who are unable to help themselves. Then we have to start making a lot more noise. It’s up to all of us and more. I have fibromyalgia, stenosis, scoliosis, degenerative disc and joint disease, protruding disks in my neck and back and then some. I have been taking opiates and they work for my pain. I follow the instructions on the bottle. I care about the drug addicts out there shooting up heroin, but why can’t people in severe pain get relief? If they don’t, suicide is usually the answer. I will do it too if my pain is not relieved. I have tried gabapentin and another one I don’t remember. I was on soma, but the DEA said after 7 weeks, it is just an addiction as it is ineffective for spasms. Tell the government to stay out of mine and my doctor’s business and worry about paying off their 16 trillion dollar debt.I have too many friends that have ended their life because of pain. I think BL said it right in another post. Most Chronic Pain patients are still getting and will continue to receive their opioids. I tend to agree because it has not been brought up with me at my pain management visits. There was a time when I was prescribed a higher dose and quantity. Surgery allowed me to reduce my medication. With that being said, I now have an extruded L4-L5 disc above a year old ALIF 360. I just completed 33 visits of PT and have changed the way I get in and out of bed, improved my posture and leg strength. All of these attempts to improve my situation are reported to my pain management folks along with images and documentation. Once the subjectivity of pain reduced by these means your prescriptions are safe and they may even be increased. I have an aggressive form of Ehlers Danlos Syndrome which affects all the cartilage in my body. My spine is in horrible shape and no surgery can be done to help. I have chronic trigeminal neuralgia in 5 branches of my left face. I can’t even eat unless I take a pain medication. I take them to live and stay as functional as possible. Now the DEA, FDA, and CDC want everyone to be off pain medication. It is so discouraging to have come this far and still fight for my rights and the rights of all people who need medication. Can you supply a link for information to the books that you have authored? I would be interested in reading them. I’m just going to say it – Any substance that can be used (consumed) can also be misused and abused. A government can restrict and/or ban to its heart’s content, but, as history has shown us time after time, that does nothing to shrink the addiction rate. Why? Because addiction is a primary mental health disease that can be caused by both genetic and environmental factors. A pill, a drink, a can of air, a plant does not “cause” addiction. The abused substance is just the symptom of something much larger and more complex. I’m a 42 year old adult who does not need the government to *protect* me. Currently, there is a large community of humans who are suffering to the point where suicide feels like the only available option to end that suffering. That is the epidemic. Think about it – our government is restricting access to much-needed medication to humans who are suffering based on the notion that a *pill* will instantly turn one into an addict. It’s absurd and outrageous. I’m just curious why it is “acceptable” (by our government) to treat recovering addicts with prescription opioid medication (a class of medications specifically approved for pain control) yet “unacceptable” to treat those with actual ongoing, 24/7/365 physical pain with that same class of prescription medications (again, a class that is specifically approved to lessen physical pain). It is blatant hypocrisy on our government’s part. Doctors are violating the human rights of patients by withholding pain medications. This needs to go to the International Criminal Court for prosecution, as doctors in the US are deliberately keeping 116 million people in untreated or undertreated pain as a modern day “Pain Compliance” methodology to generate extraordinary profits for their new “pain management industry”. This use of our pain against us is immoral, unethical manipulation of our lives, and must be stopped. Dr Oberg- Of couse our institutions and our government has no faith in the capacity of the average Joe or Jane to make a decision that is best for them. And so they wish to coerce and compel the great unwashed to do what they think is best. I dont see too much probing or self searching or full and fair consideration of alternatives by our betters. So if they are better then the great unwashed- its a distinction without much of a difference. The betters seem rather stuck on a narrow range of ideas and solutions-they lack the fluidity and flexibility of being to meet todays challenges. And dont they always hold themselves as perfectly blameless with regard to current problems in pain care. But by calling for hard nosed rules and regulations and getting experts to say its for the public good-this only diminishes the publics capacity to grow and eveolve beyond the narrow rules of the betters(or should i call them Selenites or Vions). At this point talk is cheap. Our government in Washington is fantastic at having committees on having committees. They have absolutely no idea the unbelievable suffering they are causing a whole sector of our population that is not only forgotten but being forced to live in agony so another segment won’t get their hands on it! Has it even occurred to everybody that they are having not one bit of problem getting their hands on heroin and to the ER Drs and “pain specialists” that the patients begging for adequate pain treatment aren’t drug seekers? No! They are so sure they know what’s best for us poor misguided pain patients. We’re not stupid! Our bodies are in distress and the damage from no relief is much much worse for us in many ways. We are traumatized from sun up to sun up. It’s nice you were impressed with their attitudes but I promise you it’s totally inconsistent with the nightmare we are living everyday and from the sounds of this love fest hope is nowhere in sight! I went to the link for the National Pain Strategy. There are recommendations for use of opiate pain medications. Not one was for chronic pain. Short-term, post-surgical and when dying from a fatal illness were given as the only instances when opiates should be used. And we, chronic pain patients, are not even mentioned. I’m heartened to finally have someone like this on our side. Will be really curious to see if/how he changes the dialog. It’s also encouraging he labels himself a ‘pain medicine physician’ which is something real for a change. We have an epidemic of ‘experts’ right now who are anything but. Cultural transformations at a time when the Cleveland Clinic, Mayo Clinic, Vanderbilt Hospital in Tennessee, and other medical facilities considered ‘premier’ all have ceased scripting for opioids and won’t start back anytime soon (like in my lifetime). Worse, they’re peddling the delusion they don’t work. Melding patient medication into the drug addict/addiction thing did incalculable damage and listening to governors on this isn’t encouraging. How long did it take for us to go from ‘marijuana is the gateway to harder drugs says experts’ to what’s happening now? Does anyone really believe there’s not a group of zealots just waiting to topple that experiment also? 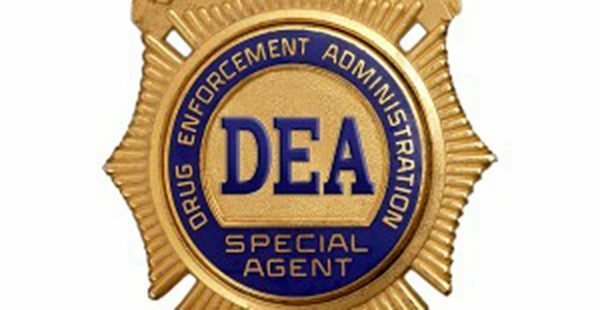 The CDC/DEA rot is now being foist upon the FDA which was probably inevitable. Until we get physician patient advocates like myself, my wife, and others on board with a voice (to create a ‘side’ to this) I fear this refers to policy decisions without substance in many of our lifetimes of pain. I don’t believe that chronic pain sufferers think that the opiate epidemic is unreal. I believe that all of us are just independently thinking about our own personal use for opiates. Many of us are mad because our pain medication has been either reduced to insufficient levels already or some have lost them all together. Hint, patients who don’t ask for more opiates then they already recieve, (unless the physician is testing for a suitable dose), they are not addicted. Medical professionals know the signs of an addict, but so many of them are operating in fear so they are gun shy of prescribing opiates all together. Cash patients are red flags as well. Physicians have to be allowed to practice their profession without fear of a law enforcement agency coming in and closing them down. Plus there are way more crooked cops out there then there are medical doctors. Law enforcement wouldn’t like it if physicians started going into police stations and arresting cops would they? Next, if a couple of college students could setup Facebook in a few nights, why can’t the government come up with a medical database that shares information between facilities about medical problems and prescriptions? 2nd hint, addicts doctor shop, not legitimate patients. Next the negative propaganda about opiates are directed to all people who use them and the pain community is feeling very discriminated against. The federal government should put commercials out stating that opiate medications are beneficial to chronic pain sufferers but should only be used as directed by a physician. The public needs to be educated that not all opioid use is addictive and there are those of us who really need these medications until someone can come up with a non addictive replacement. I’d like to thank you for your articulate comments. Unfortunately I come from Vermont, which has received a very bad reputation for opioid and heroin use. While our problems are severe right now, they merely are in the limelight and behind or last in the nation’s curve dur to poor choices for blocking agents early on. But back to point, I suffer from severe CRPS due to being a survivor of domestic violence, and have had 3 nerve surgeries, and examined every possible holistic, traditional, and non traditional alternative for almeriorating my symptoms. Nothing has worked. Thankfully my doctor and I have a fantastic working relationship, whereby I have actually requested random urine testing, requested minimal dosage output from my pharmacy, as I have a 14 year old at home, and we do everything possible to be responsible about the drug. With that said, I have to admit, that while I could go off it immediately with no side effects physically ( such as an addict would have) it would change my quality of life. (No ability whatsoever to use my right arm without tears forming in my eyes). So I thank the pain community for keeping their eyes and thoughts open, to the fact that there are responsible patients and Doctors out there. I wish those stories were focused upon, and not the negative press. Thank you.